Want to make the world cleaner and greener? So do we.  The Cranbrook-Kimberley Development Zone is home to an emerging cleantech industry with various subsectors—including solar, waste-to-energy, cogeneration and alternative fuels—in the mix. Green-thinking businesses find our environment, low cost of doing business and support from progressive community leaders conducive to tapping into what is a lucrative and growing industry. Worldwide, the market for clean technology is considered to be worth $3 trillion annually. If you want to be in an excellent position to capture a share of the market, then now’s the time to consider locating your business in our region. We have lots of affordable land that’s already zoned for manufacturing and some of the lowest taxes in B.C. If your business develops processes or manufactures equipment for the cleantech sector, then you’ll probably want to know that we are only an hour from the world’s largest cleantech export market. Shipping and infrastructure are in place and our region is home to an international airport, providing cleantech businesses with a direct link to key international markets, such as Europe and Asia. As a major economic hub, our region also has a steady feedstock of wood and municipal waste, ideal for converting into energy or alternative fuels. The sunny side of southeastern B.C. Our region’s solar value index is higher than municipalities in the Lower Mainland and people know it. In fact, that’s why most come here, to escape dreary winters and soak up our region’s 2,191 hours of annual sunshine. We are home to B.C.’s first grid-connected solar facility. Kimberley’s SunMine began in June 2015 and the 1.05 Mega Watt Peak (MWp) system is producing enough electricity to power about 200 homes. The project is intended to provide a platform that can be expanded to up to 200 MWp in the future. For those interested in harnessing the power of the sun or developing products and services for solar applications, there’s no better place to be. B.C. is considered a leader in the cleantech sector, having one of the highest ratios of cleantech companies to GDP in Canada. In addition to general business incentive programs, B.C. also offers several programs specifically for the technology sector. Cleantech companies interested in doing business in our region are supported by a well-educated workforce, forward-thinking community leaders and organizations that reward innovation. Our region is located in the heart of the world-famous Canadian Rockies, which means at the end of every day, you’ll be reminded of the environment that inspires you to find better ways of doing things. Mike Sanderman, President, Applied Compression Systems Ltd.